The Leadership and Service Award was introduced to acknowledge individuals within the New Heights community who represent the ideals and beliefs we wish to instill in our student-athletes and our core values of teamwork, respect, excellence and effort. Jamaal Lesane and Bryan Hurley exemplify all of these traits and we are excited to spotlight their commitment and dedication to our youth. Jamaal Lesane graduated from Yale University in 1998 with a B.A. in Intensive Sociology and received his J.D. from Harvard Law School in 2001. Following graduation from law school, Jamaal worked as a corporate associate at Covington and Burling in New York, NY and then as an Associate Counsel at Home Box Office, Inc. (HBO), where he provided legal support and counsel to HBO Sports and HBO Licensing and Retail. 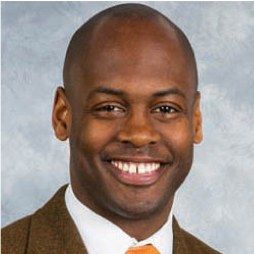 Since 2008, Jamaal has worked at The Madison Square Garden Company, where he is currently the Senior Vice President, Associate General Counsel, MSG Sports. Jamaal provides business and legal support to the New York Knicks (NBA), the New York Rangers (NHL), the Westchester Knicks (NBADL), Counter Logic Gaming (E-sports) as well as all other sporting operations (including college basketball, college hockey, boxing, MMA and wrestling) occurring at Madison Square Garden and its owned or affiliated venues (including the LA Forum, the Beacon Theater, Radio City Music Hall and the Chicago Theater). In addition to being a longstanding champion of New Heights’ work, Jamaal serves on the Board of Trustees at the Collegiate School in Manhattan, NY, where he attended junior high school and high school and Compass Charter School In Brooklyn, NY. Jamaal also remains very active as a donor, fundraiser and volunteer at Prep for Prep, a leadership development program that offers promising students of color access to a private school education and life changing opportunities and volunteers with the Garden of Dreams Foundation, a 501(c)(3) non-profit organization that utilizes Madison Square Garden assets to provide memorable experiences to kids in crisis. Jamaal was born, raised and currently resides in Brooklyn, NY with his wife, Hope and children, Mia and Theo. 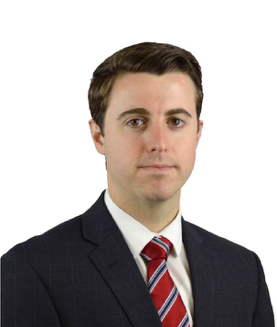 Bryan Hurley, is an Investment Sales Associate at Cushman & Wakefield, a global real estate firm. At C&W he focuses on middle market investment sales covering the East Village and Lower East Side of Manhattan. Prior to joining Cushman & Wakefield, he worked in Investment Sales at CPEX Real Estate covering the Brooklyn market. Bryan joined New Heights’ Emerging Leaders Council in spring of 2016, however his first encounter with New Heights was on the AAU circuit in the summer of 2010. Born and raised in Watertown, Massachusetts, he attended Boston College High School. Bryan played basketball at Bowdoin College in Brunswick, Maine and was captain his senior year. He graduated Bowdoin College in 2015 with a BA in Economics.